As an Independent Family Estate Agents & Property Management Company we strive to blend traditional standards with modern technology. Committed to providing the highest quality of personal service, using our extensive experience and local knowledge to ensure that our clients receive informative advice within a friendly working atmosphere. The business was established in 2006 by Kevin Partridge and his daughter-in-law Charlotte Partridge. Kevin has worked in the Financial Service and Estate Agency Industry for over 25 years. Charlotte had worked for two national estate agents for 10 years and together they felt they could make a difference to the local area. We both felt that there was a gap in the market for a traditional family business to provide a customer focussed service at a realistic price. The business has grown through the recession and we are continuing to expand our team to ensure we take the business forward. It is our family name so we really do care. In 2015 we opened our second office in Shirley to allow us to expand our local area coverage. 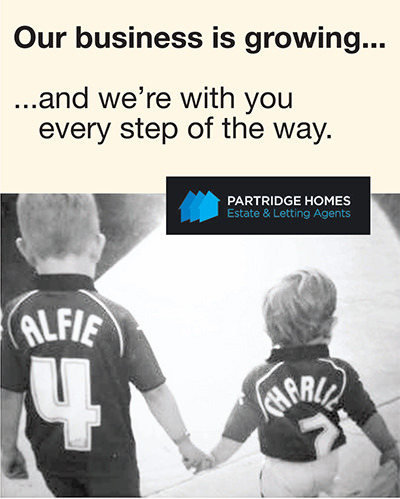 This expansion also ties in with the launch of our Prestige Property Department and our exciting Online Only Service. Paul Partridge, Development Director firmly believes that the combination of traditional values and modern methods will ensure that we continue to grow and develop into further areas around the West Midlands. Our business has grown through the recession due to the service and value for money we offer our customers, this will always be at the forefront of our business.